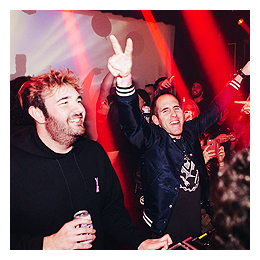 Chuck Comeau surprised Emo Nite attendees in Los Angeles as a guest DJ! Combine all the greatest emo/alternative/pop-punk/any other nostalgic hits of the late 90s and all of 00s, bring is a few tears, a bit of dancing and a whole lot of a concert atmosphere and what you get is Emo Nite. Or else – try imagining going to a club, but they only had all your favorite pop-punk songs on. 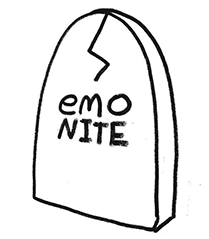 And that’s exactly that Emo Nite’s are for: bringing together emo & alternative kids of the late 90s and early 00s and promising the night of their life – sometimes with the help of a few guest DJs. 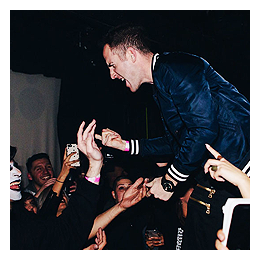 In the past, many prominent kings of the alternative scenes have graced the DJ stage of Emo Nite, such as Mark Hoppus or Alex Gaskarth… and as of last night, another familiar face has now joined the ranks of the Emo Nite guest DJs: Chuck Comeau from Simple Plan!